I-Flow, the pain pump manufacturer with the largest market share, has a document on their website that caught my attention today. It is titled “What We Know About Chondrolysis Today.” Sounds like a very informative document, especially now (in 2009) that the company is faced with over 70 lawsuits alleging that they promoted their devices for use after shoulder surgery. 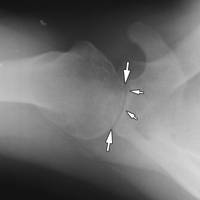 Those lawsuits point to the fact that the pumps cause chondrolysis, or the irreplaceable loss of shoulder cartilage. Scrolling through the document (last revised: 08/2007), though, it is clear that it is outdated and, at this point, blatantly untrue. One wonders if a company that just reported its first-quarter earnings increased 9% this year to a whopping $30.9 million dollars actually has someone in charge of the website, or if they are deliberately avoiding updating the document because the truth makes them look bad. Really bad. There’s been a host of medical literature since 2007 that continues to identify pain pumps as a primary cause of cartilage loss. But, perhaps that’s not worth mentioning to doctors and potential patients?